Many employees at Julbo drive past a sign displaying this sentence each day. It represents the birth of the eyewear industry in the Jura mountains. 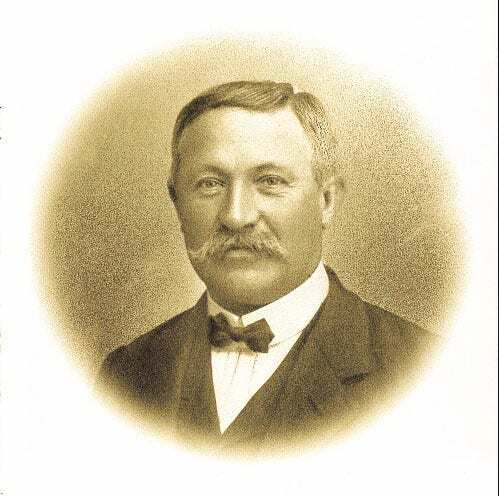 Jules Baud, a local expert founded this eyewear brand in 1888. 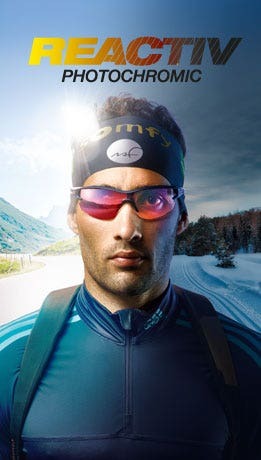 Crystal hunters in the Chamonix valley had asked Baud to make them a pair of sunglasses. To do this, he used innovation as his driving force. Crystal hunters have existed since prehistoric times. Their excellent mountaineering skills helped them scour mountain terrain to find rare crystals hidden in the rock which they can then sell. Much of their time was spent at high altitude: on rocks, glaciers and snow. It was extremely important for them to be protected against the dangers of the sun. Jules Baud's glasses had many similar features to models that would appear in the 1950s; for example, side shields. The lenses were made of tinted minerals such as smoky quartz. It could be said that the crystal hunters were participants in the manufacture of their sunglasses. The horseshoe shape shown on the photo below is designed to cover the face as much as possible and reduce discomfort from glare. At the time it was cutting-edge; although it wasn't exactly a new idea. The design was invented at the end of the 18th century. 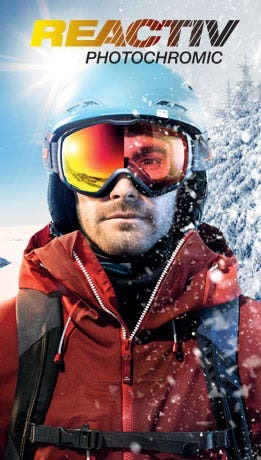 That first pair of glasses for the Chamonix crystal hunters is written into Julbo's DNA. 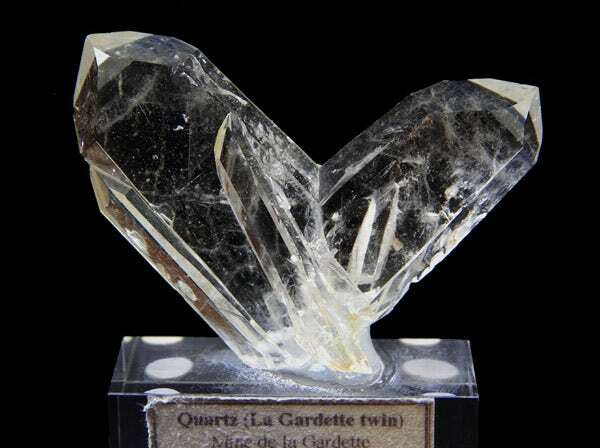 Jacques Balmat, who was the first person to reach the top of Mont Blanc in 1786, was a crystal hunter. Legend has it that he had been looking for a gold mine. Pink fluorite from Mount Blanc, one of the most highly-valued crystals. Before tinted glasses were invented, the people of the far north used “glasses” carved out of wood or bone. Tiny slits were cut into them to avoid being dazzled by the sun. Needless to say, this was rather limiting in terms of visual field! Crystal hunting, or “ earning a living looking for crystals ”, gradually disappeared in the middle of the 20th century. Was it because they had exploited all the crystal "furnaces” and that this activity was no longer profitable? Or perhaps because weather conditions made crystal hunting difficult? Maybe it was the fact that mountaineering became more popular, meaning the crystal hunters could earn more money working as mountain guides? The decline was probably caused by a combination of these factors. There are some passionate collectors who keep the tradition alive through improved mountaineering and climbing techniques – though it is no longer a means of subsistence. Shortly after the two world wars, Western governments sought to assert (or reassert) their power by scaling new peaks in Europe and beyond. Germany and England organised a number of large expeditions from the 1930s onwards. The French government would wait until the 1950s before doing the same. And thanks to major national expeditions financed by France, the brand then climbed some of the world's most prestigious summits with the most famous mountaineers of the time.